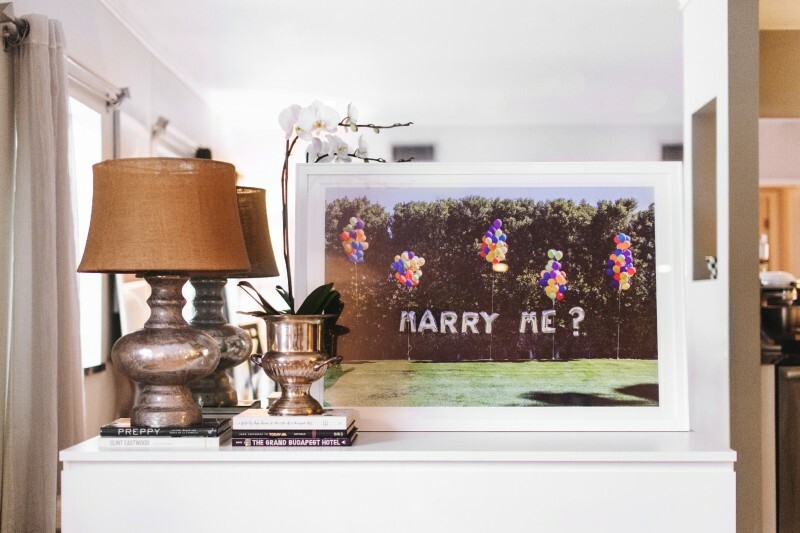 Behind the Scenes: Gray Malin's Marry Me? I have such a fun story to share with you all today! Just in time for the romantic weekend ahead, it's sure to warm the heart for Valentine's Day. Last month, I was contacted by a client, Don Wilcox, about creating something very VERY special for him and his girlfriend, Nicole. 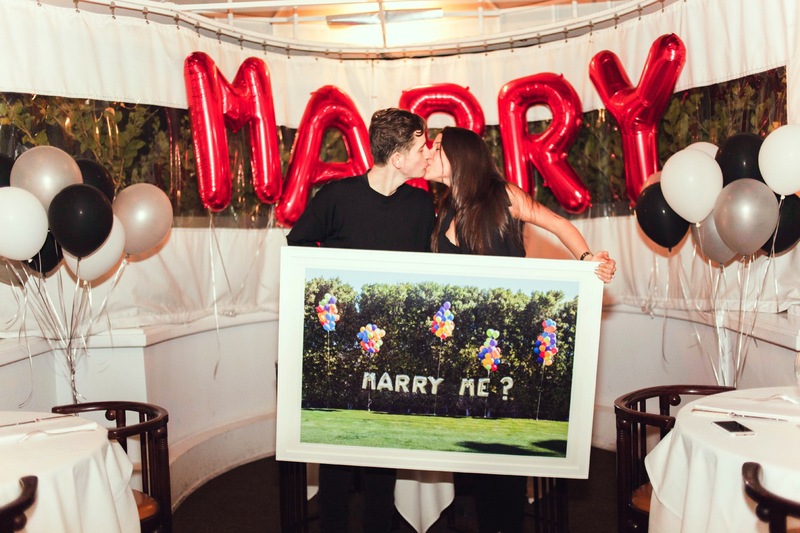 You see, the two of them have been together for quite some time and he was ready to propose. Inspired to make this day perfect, Don's idea was to incorporate work from their favorite photographer..which you guessed it, happens to be me. Immediately flattered and inspired, things moved along quickly with Don and the resulting image, MARRY ME? 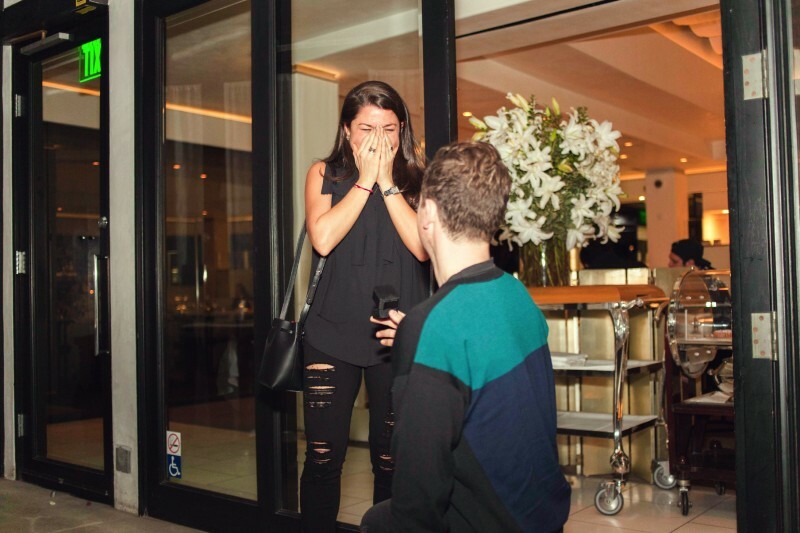 ended up playing a pivotal role in their proposal story. 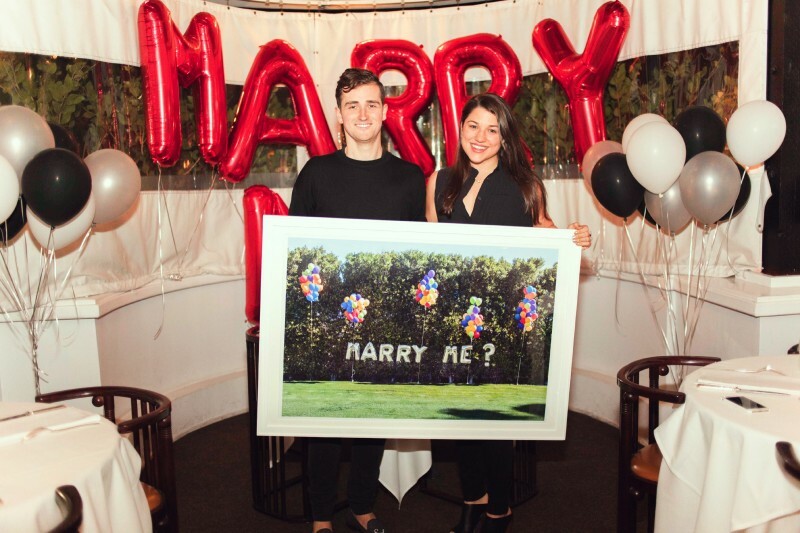 I was able to curate the entire proposal around the print – which turned out absolutely perfect, I should mention. I decided to recreate the photo in person at our favorite celebration spot, Mr. Chow. 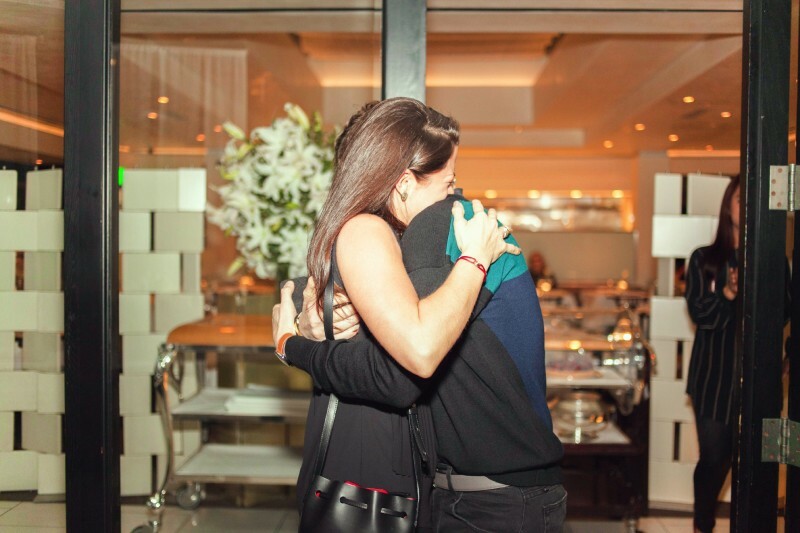 Fast forward a few weeks…she said YES!" Before Nicole even got through the door, Don dropped to one knee, and the rest was as story book as the pictures depict. Chatting with them afterwards, I was dying to hear all of the details. One of my first questions to Don was - What was going through your mind as the moment rapidly approached? "I remember pulling up to the restaurant with intense pain in my stomach, hoping that all of the work that I had put into this surprise would play out without any problems. Nicole and I spend all of our time together, so pulling everything off without her knowing was a HUGE feat. 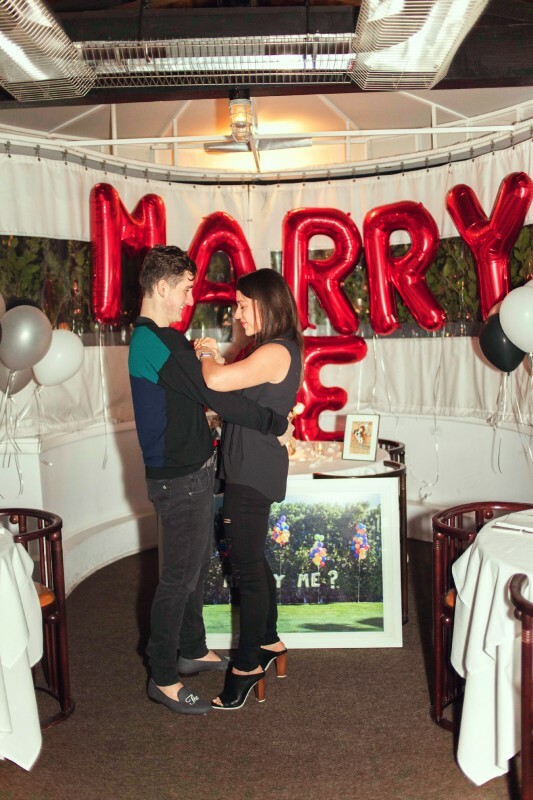 I also remember being absolutely speechless as I got down on one knee - fortunately the balloons and the print “said” it all for me." "Honestly, the fact that Don was able to pull it off is really impressive. He has the hardest time keeping surprises from me and there were so many fine details to the event that I really can’t believe it! We have been dating for several years and grown so much in our time together that I was absolutely overcome with emotion when I realized what was going on. He always goes above and beyond to take care of me, but he totally outdid himself. Seeing the print was the icing on the cake – our shared admiration for Gray’s work is even greater now than before. " Up next! 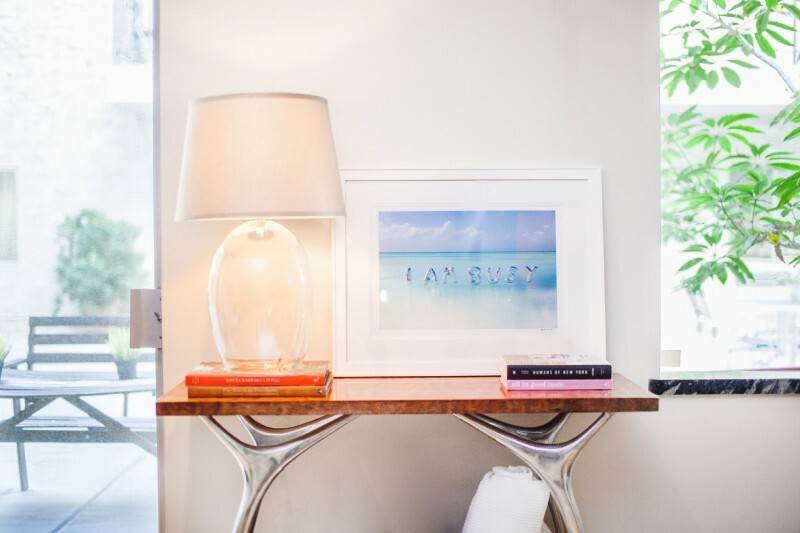 I was invited to come by their home to see the rest of their Gray Malin work, which as you all know, I love to see how people decorate with their prints. Up & Away is definitely a special series for them, so I couldn't be happier to have created something so relevant to their shared space. 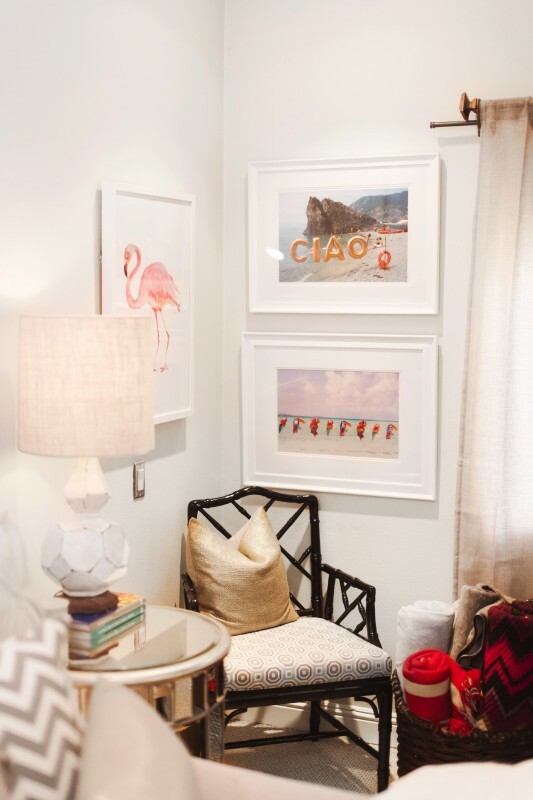 When asked where they were going to put their latest addition, Nicole was ready with her answer..
"In the living room – it tells such a special story that I want everyone to walk in to our home and ask about it. " Haha! Aww, I love it. But in all seriousness, thank you both for letting me play such a meaningful role in your proposal story. It was such a joy! And, thank you all for following along as always. I hope you've enjoyed this love filled story as much as I have.